Our mission is to provide quality food and excellent service. 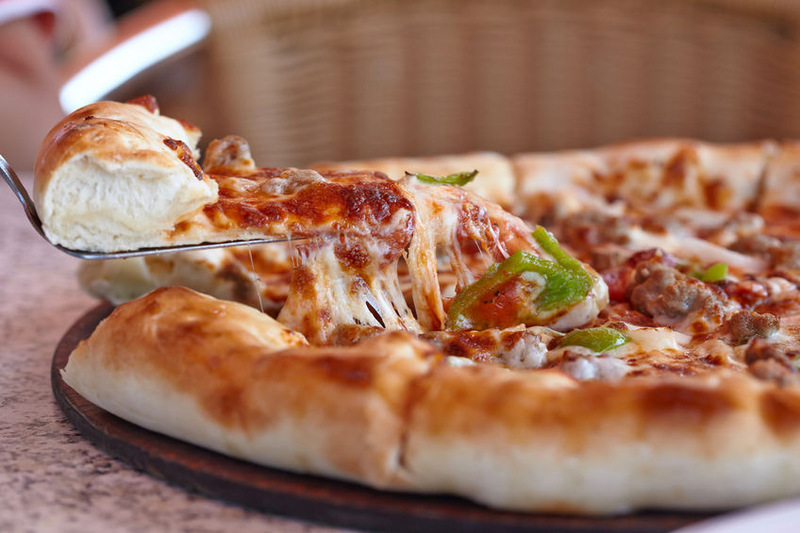 We pride ourselves on unique pizza offerings and a wide selection of homemade Italian favorites. 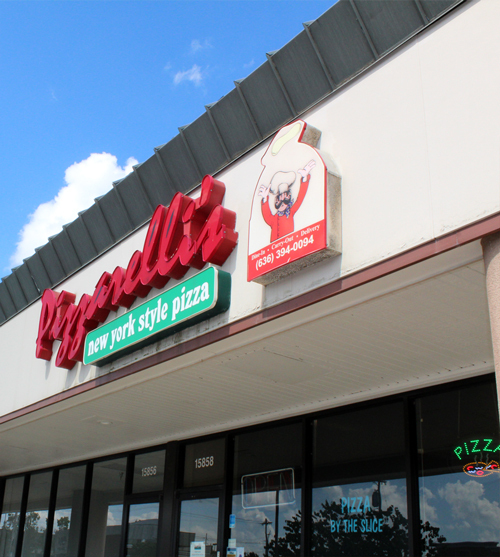 At Pizzarelli’s Pizzeria, we base our recipes on the best pizzas from across the country, such as deep-dish Chicago-style, hand-tossed New York-style and even St. Louis’ own thin & crispy crust and delicious homemade toasted raviolis. 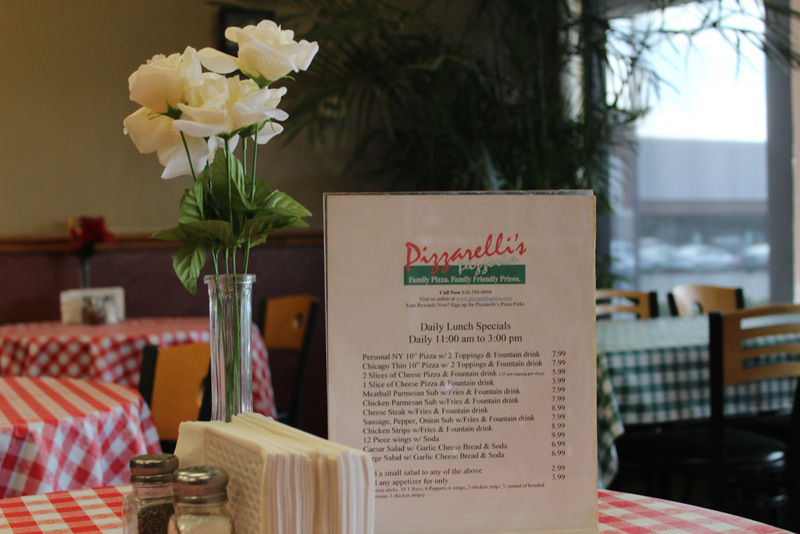 Pizzarelli’s has been locally owned and operated for over 20 years, based in Ellisville, MO. We work hard everyday to keep our loyal customers happy and to build a strong connection to the local community. 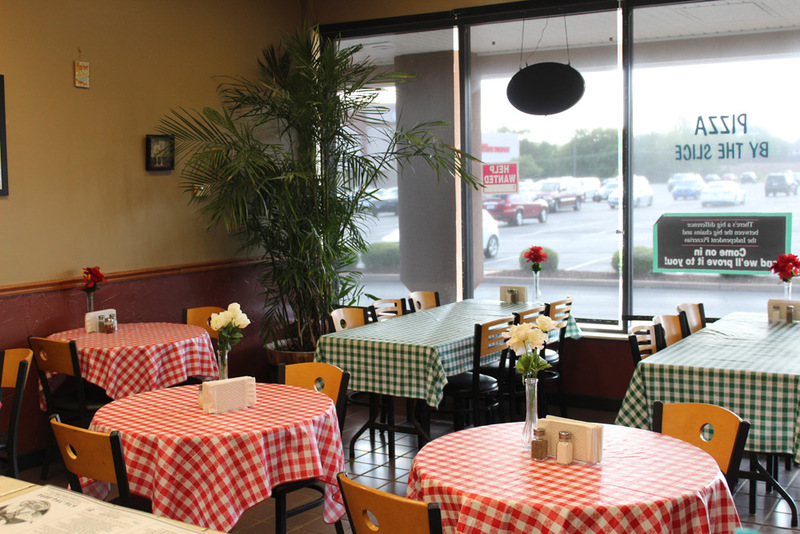 We are a family-oriented restaurant, so feel free to bring the whole family with you!